TGIVF! Welcome to the second in a series of Vinegar Fridays! Since talking turds was so popular this week, I thought we'd keep it in the bathroom today...that oh so pleasant task of cleaning the toilet. Having an odor problem? Deodorize your toilet by pouring 3 cups of vinegar in the bowl and letting it sit for about a half hour or so. Better yet, let the vinegar do its magic overnight and then give your toilet a quick brush before flushing. That is, of course, if you have luxury of no one in the family needing to use the potty during the night. If you're someone who wakes up in the morning and has to go pronto, just think of the opportunity to practice your Kegels as you scrub away and watch the rings disappear! Not only does the vinegar clean and deodorize, but it disinfects as well. Plus, you can freshen the air in the bathroom by simply mixing a teaspoon of baking soda, a tablespoon of vinegar and a cup of water in a clean spray bottle and spritzing it around the bathroom. Odors be gone! And don't worry about a strong vinegar smell -- it dissipates quickly. Natural, economical, non-toxic, no harmful vapors or odors....what more could you want? 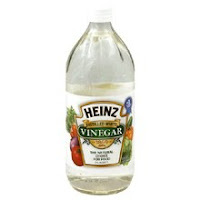 White distilled vinegar is the best toilet cleaner around! So that's it for the potty talk today! Hope you found it useful and, of course, unoffensive! Depressed? Try turning off the TV at night. Artificial light at night is thought to affect your biological clock's natural rhythm according to scientists at Ohio State University. If you're feeling a bit down lately, make sure you're not falling asleep to the TV! Of course, most relationship experts and sleep coaches recommend that you keep the television out of the bedroom. Period. If your kids have TVs in their rooms, reconsider the wisdom (or lack thereof) of this. Teenagers, in particular, battle with depression on a regular basis. Perhaps their television viewing habits (and sleeping-to-the-glow-of-the-TV-screen habits) are to blame. Feeling fat? Here's a discovery I'm loving. Drinking green tea = a smaller waistline! Seriously. I recently found myself dropping weight and inches and was a little concerned about it. Not that I didn't need to lose weight -- I did. But after years of trying unsuccessfully, I couldn't help but wonder what was going on. 5 1/2 inches off my waist without a major effort caused a bit of concern. I did think it might have to do with the amount of tea (green, white, mint and orange pekoe) I was drinking. Now I know there was something to that. Apparently green tea contains compounds known to boost energy expenditure. These catechins actually rev up the release of fat from fat cells and get the liver working harder to burn fat after meals. This is especially effective with the stubborn belly fat so many of us struggle with. And it's not about the caffeine because green tea boasts only one half of the caffeine in coffee. Decaf green tea is still beneficial, but not as much as the regular brew. Four to five cups a day can produce some awesome results. Next time you hear, "It's tea time," jump on it! Stressed out? Swiss researchers have good news for you! Eating an ounce and a half of dark chocolate every day for two weeks can help -- by reducing the levels of teh stress hormone cortisol. Is that the best news you've heard all day?! Speaking of chocolate -- did you hear the news about chocolate milk? Apparently researchers in Spain have discovered that drinking chocolate milk (low-fat or skim) produces similiar benefits to heart health as red wine. Both men and women who imbibed regularly had higher levels of good cholesterol (HDL) and reduced inflammation in their arteries than people who didn't. Of course, the benefits are there for kids as well. Woo hoo! Chocolate's getting better and better! Just a few tidbits to help you have a healthier life. Love to hear from you if you try out any of these suggestions. Did they work for you? Stop back in a couple of weeks and post a comment! We're all in this together....let's encourage each other to be the best we can be. I referenced the benefits of eucalyptus oil for pregnant women in a recent post, but at the time was not aware of how really wonderful this oil is for a myriad of conditions for all of us. The healing properties of eucalyptus oil make it effective for treating colds, flu, bronchitis, sinusitis, asthma, rheumatism, arthritis, joint pian, back pain, muscle pain/cramping, swelling and inflammation. Who knew? A twenty minute eucalyptus oil bath taps into the unique blend of volatile oils that provide the healing benefits: camphene, eucalyptol, and pinene. If you find yourself ending the day with a variety of aches and pains, opt for one of these soothing baths before reaching for the painkillers. The analgesic, anti-imflammatory, antiseptic, and antispasmodic properties will ease the pains in no time. Feeling feverish? Congested? Coughing? A warm (not hot) eucalyptus oil bath will act as a fever reducer, decongestant, and expectorant. If you ever read the ingredients on your chest rub meds, you'll see cineole listed as the primary active ingredient. Cineole is just another name for eucalyptus oil and it's used to reduce inflammation and the production of mucous in asthmatics and others suffering from respiratory infections. Blending a little thyme and lemongrass essential oil will make the bath even more therapeutic for breathing issues. In need of a pick-me-up? You guessed it -- hop into a eucalyptus oil bath for a stimulating and reviving experience. Eucalyptus oil also has antibacterial properties and is a disinfectant, so it works well in keeping fungus and bacteria at bay while making it difficult for microbes to survive and wage an attack on your body. To make your regular soak in the tub therapeutic, simply add eight to ten drops of the essential oil to the water. Okay, so before you ask, eucalyptus oil should not be used with babies under two months of age. For babies and toddlers older than that, using Eucalyptus Smithii essential oil is recommended. This oil comes from South Africa (whereas most of the other eucalyptus oils come from Australia) and is the mildest eucalyptus oil available. If you are adding the oil to a bath for your little ones, use a carrier for the oil, such as sweet almond oil or whole milk, and only use three to four drops. Another option in place of bathing your child in a eucalyptus oil bath is to put a pan of boiling water with three drops of the oil added to it, under the crib. Your baby will benefit from breathing in the vapors produced. With the effects this winter is having on my body, I'm heading out this afternoon in search of some of this miracle oil. Can't wait to climb into a fragrant, healing bath tonight! Here's another plug for Goodwill. 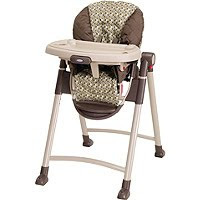 I bought a brand new in box Graco Contempo high chair for $34.99. The price tag was still attached from Target ($109.99). Came home, set it up, made sure it was safe and had all its parts and then did an Internet search for recalls. Everything's good. This model has a removable tray cover that is dishwasher safe and an extra seat so you can toss one in the wash and put on the other one. And it folds up flat. Couldn't be happier with this purchase as I prepare for another grandbaby. See, you don't have to pay full retail price for things. This is further proof. I do recommend you check for recalls whenever you buy a product from a thrift store, consignment shop or garage sale. Here's a diaper superstore worth checking out. Free shipping on all orders in the USA! I've been snowbound for the past week, but today the sun made an appearance and I decided to venture out into the real world again. Wow, it's a snowy mess out here! Parking lots are a bit humorous as drivers seem to have no idea how to park their cars! Even when the parking space lines are clearly defined, cars are parked in every direction, but the correct one. Maybe the drivers were experiencing snow blindness. It’s good to be out among the living. As I write, I’m munching on a sour dough roll at Panera’s and enjoying a cup of coffee brewed by someone other than me. A couple of adorable little ones are sitting a few feet away from me and I’m debating giving their moms a couple of Green Grandma business cards. The baby girl just turned 6 months old and is eating baby food and drinking from a sippy cup. Her high chair cover is the first thing that grabbed my attention, so I asked about it. It’s an Eddie Bauer cover from Target and works well with both high chairs and shopping carts. I like the way the straps come over the baby’s shoulders and I plan to check it out the next time I’m at Target. The other little girl is about 2, I’m guessing. She’s sitting on the same kind of high chair cover I bought for my grandbaby. Now that I’ve started this blog, I’m more observant of these types of things. I have to be careful though…I tend to stare a lot and people might start shielding their little ones from my gaze, although I don’t think I look like stalker material. But you never know. 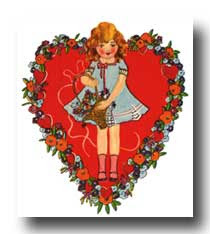 With Valentine’s Day just 2 days away, I’ll wrap this up with wishes for you to have a happy celebration of the love that’s in your life. As I’ve said before, life is short. We never know what’s right around the corner. Say “I love you”s often. Don’t assume the people around you know how you feel. Even if they do, there’s nothing quite like hearing the words. If your parents have never been the type to express their feelings, express yours. You never know what kind of response you might get. Maybe, for the first time ever, you’ll hear the words spoken back to you. Valentine’s Day is not just a day for sweethearts. Do your part in making it special for those who may not expect it…the single woman in your church, the elderly widow(er) next door, your workaholic boss, the cashier at the grocery store. We may not have any power over the weather, but we do have power over our actions. This Valentine’s Day, use that power to make someone smile. That will make it the sweetest day ever…I guarantee it. So what's the story with Global Warming?? As I look outside at the nearly three feet of snow in my yard, I can't help wondering what has brought about this return to winter. With projected temps below freezing for the rest of the month, it's hard to embrace the Al Gore-isms that permeate environmental websites and magazines. Well, the flipside is we are now entering a season of Global Cooling, just like we experienced in the 1970s. Back then, the furor revolved around climatologists' claims that we were headed for an Ice Age. Of course, these claims only made them look like fools eventually, but many environmental enthusiasts jumped on the Global Cooling bandwagon perpetuating a mild hysteria. It really makes you wonder in light of the over-the-top hysteria that has resulted from the Global Warming camps. Am I saying we should stop caring about pollution and environmental issues? Absolutely not! The best part about the Global Warming alert has been the wake-up call we've received. We all need to start caring about the environment...not because of Global Warming, but because we're killing our planet, our wildlife, our marine life and ourselves! Being green is about a whole lot more than Climate Change! Speaking of which, the newest findings point to a projected 30 year Global Cooling pattern we have now entered. As a matter of fact, one of the U.N.'s top Global Warming proponents has changed his tune. Professor Mojib Latif, a professor at the Leibniz Institute at Germany's Kiel University and author of the U.N.'s Intergovernmental Panel on Climate Change (IPCC) report, predicts we are now in the early stages of a "mini ice age," based on the natural cycles in water temperatures in the oceans. He blames the rise in temperatures over the past three decades on the fluctuations in currents and now says we're going to spend the next three decades facing falling temperatures. And the evidence is widespread. Did you know that Beijing had its heaviest snowfall in sixty years and Europe's recent snowstorms shut down the Eurostar train service, as well as the airports? Of course, there are some environmental enthusiasts blaming these arctic conditions on the rise in greenhouse gases, thus Global Warming, but we can't expect them to let go of the propaganda that fuels a worldwide hysteria. Based on this past summer, which I often referred to as "the summer that never was," and the current conditions, I'm thinking the Global Warming alerts just might be losing their zing. The good news is, this might be the end of the Global Warming blitz for awhile. The bad news -- winters like this one will become commonplace. My advice: invest in snowblowers (I know, I know, they're not environmentally-friendly, but they are heart healthy), generators, and lots of candles. We're in for some chilly weather. I hope you will forgive my lack of posts over the last several days. Just blame it on the snowstorm of 2010. That said, I'm back to it...unless this next one (due today) nails us again. We hear a lot about fossil fuels lately, but I have to admit, I didn’t know exactly what that term meant, so I did a little research. Basically, what I found out is that fossil fuels are non-renewable resources, like coal, oil (petroleum) natural gas, methane and diesel that contain a high level of carbons and hydrocarbons. The push is for renewable energy from natural sources, such as wind, water, tides, geothermal heat and sunlight. Okay, so we know that in an ideal world, our sources for energy would come from natural, renewable sources. But what about the non-energy-related products we choose? Petroleum derivatives, such as paraffin, mineral oil and propylene glycol are found in most of the cosmetic products we use. Just grab your tube of lip balm and look for yourself! There are alternatives to using these non-renewable petroleum derivatives in the products we use every day, such as beeswax, and more and more companies are switching over to these environmentally-friendly ingredients. There are countless other companies offering alternatives to petroleum-based cosmetics. A wonderful resource I stumbled upon is the website for Natural Living for Women, which states it is a guide to “a healthy, natural and green lifestyle,” and is animal, people and earth friendly. Check them out at http://www.natural-living-for-women.com/. With all of the alternatives out there, maybe it’s time to walk on by the L’Oreal®, CoverGirl®, Maybelline® aisles at the drug store and invest in a healthier future for yourself and the environment. To circumcise or not to circumcise, that is the question. Willingly inflicting pain on our little ones. Unthinkable, isn't it? Until you take them for their first immunization shots and have to hold them close as the pediatrician sticks them with a needle and they scream their little lungs out. Having all girls, I wasn't faced with the issue of whether or not to circumcise my infants. That's one of the advantages of having a girl! But for those of you who will be having boys in the future, this is a decision you'll have to make. Of course, if circumcision is part of your religious heritage, there will be no debate. However, this is one issue many parents agonize over. Should we, or shouldn't we, they wonder. There are some risks involved with circumcision, such as the possibility of excessive bleeding and infection. However, the health benefits include a decreased risk of UTIs (urinary tract infections) and penile cancer. There is also some speculation that circumcision can possibly reduce the risk of HIV. The decision whether or not to circumcise is up to the parents alone...not the grandparents or other well-meaning relatives and friends and not the doctors. The best thing for parents to do, prior to the birth of their baby, is to research this controversial issue and make an educated choice. Of course, no one wants to put their baby through unnecessary pain. But sometimes we have to expose them to pain for their own good. Which leads us to another question: to pierce or not to pierce....let's see. Risk factors versus health benefits: possible infection and bleeding (not to mention willingly inflicting pain on a child) versus...hmmm...can't think of a single health benefit. I guess it's rather clear how I feel about piercing a helpless baby's ears. Just a thought. Cut the risk of arthritis, cancer and heart disease by drinking white tea. The more you drink, the less the odds of developing any of the three, according to British researchers. Resolve to stick around longer for your kids and grandkids and start sipping! Focus on what you can control in your life and try not to let your imagination take you to dark places by thinking about what might (or might not) happen. Your attitude and the atmosphere in your home will brighten with a little bit of practice. The minute you start tensing up with worry, ask yourself if what you're thinking about is really just in your imagination. If it is, let it go. Use your imagination to take you to sunny places, like the beach on a warm day with gentle breezes. See? Don't you feel better already? Swapping is the way to go in the 21st century! Now, of course, I'm talking baby clothes, carseats, etc., not spouses! Check out http://www.freecycle.org/, http://www.swaptree.com/, or http://www.totsswapshop.com/. Your wallet, and the environment, will be glad you did! Using clear plastic bins to store things in makes life much easier when, say, kid number two comes along. Head up to the attic and grab the newborn clothing, diapers/diaper covers, crib sheets, etc. without having to sort through boxes. Well, look at that...a good use for plastic! Empty wine bottles make perfect boot fillers! Line up your boots neatly in your closet by slipping an empty bottle in each one. Just think: an organizing goal that involves emptying a bottle of wine or two. I'm liking this one! If you're looking for a family bird that's child-friendly, skip the biters, like parrots and cockatoos (they really can take off a toddler's finger! ), or the screamers, like cockatiels and lovebirds (aren't kids noisy enough?) and opt for a gentle budgie (parakeet) or a sweet singing canary. Keep in mind, however, that no matter what choice you make, there will still be a cage to clean. By using a shampoo and conditioner-in-one, you cut down on the amount of plastic bottles you're buying and stacking up in your shower. Just a thought. Men's noses are just naturally not programmed to pick up that poopy diaper smell. Period. Enough for today. I hope something here will help you live a greener, healthier and/or happier life. Just a quick nod to an awesome product I just stumbled across. ZoLi's Baby Ohm is a perfect alternative to the vinyl changing pads that fold up and get shoved into diaper bags. The Baby Ohm changing mat grips to the surface of those fold-down restroom changing stations or other non-carpeted/upholstered surfaces. 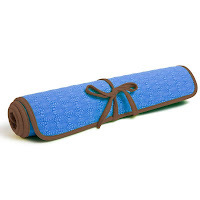 Available in vivid blue, pink, orange or green, the mats roll up and can easily be slipped inside a diaper bag (next to your cloth diapers, of course!). The best part is that ZoLi's makes their diaper changing mats without the use of latex or PVC (polyvinyl chloride) and they are 100% biodegradable. ZoLi's Baby Ohm diaper-changing mat is my choice for the Green Product of the Week! Experiencing mood swings during pregnancy? Geranium oil can help! Simply add 6 drops into 2 tablespoons of a carrier oil, such as sesame oil, and ask your sweetie to give you a massage (let him know he’ll benefit, too – mood swings can be brutal on a partner)! Geranium oil is also wonderful in enhancing circulation and easing leg aches and pains. While you should avoid hot baths and hot tubs/whirlpools/Jacuzzis during pregnancy, a warm bath with 8 drops of neroli oil added can be the perfect solution to relieve some pregnancy tension and stress. Bergamot -- If you’re suffering from cystitis, this could be your answer! Chamomile -- Headache? Don’t reach for an OTC remedy. Chamomile oil has been known to knock out the worst of pain, as well as help relieve indigestion. Cypress -- Only to be used during the third trimester if you are experiencing swelling in your feet and ankles. Eucalyptus -- Congested? Reach for the eucalyptus oil. Grapefruit -- To be used to limit water retention. Lemon -- Another good option for congestion. Mandarin -- Not only will this help ease swelling in your ankles, it also helps with fluid retention in your aching joints. Rosewood -- A natural antiseptic. Tea tree -- If you have thrush, reach for the tea tree oil. Ylang-ylang -- Another choice for relieving stress and tension. There is an ongoing debate about lavender, but since many studies show lavender to be associated with miscarriage, I, personally, would avoid it at all costs. Of course, before following any of the above suggestions, check with your doctor. Some advise that women should avoid all essential oils while pregnant. I also recommend that you do further research. It is vital you avoid the following oils, as they can raise certain hormone levels and lead to miscarriage during the first trimester of pregnancy. Some are not safe during any point during your pregnancy, so again, I highly recommend speaking to your OB before using aromatherapy with any of these oils. Also, remember to limit the use of essential oils to external use only. However you approach aromatherapy during pregnancy, use caution and common sense. Never jump in feet first without researching and testing the water.